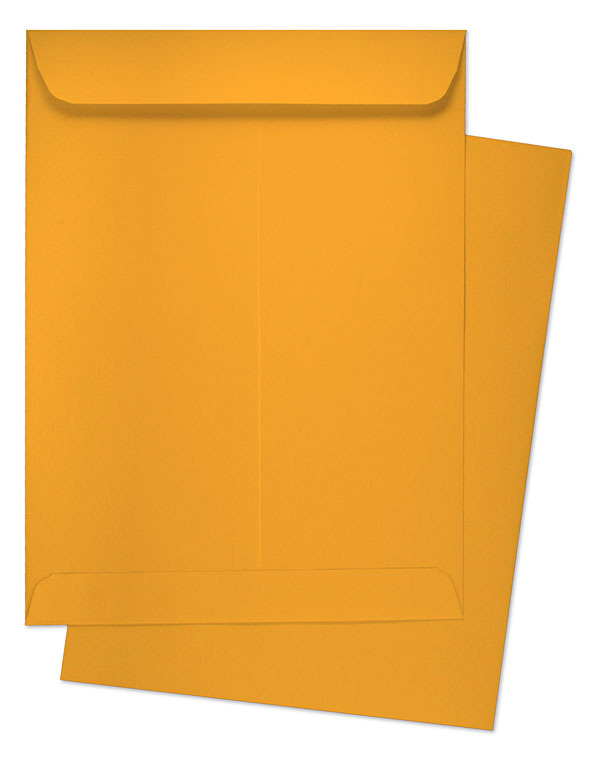 This 10 by 13 Goldenrod Catalog Envelope has a flap which opens on the shortest side. This along with the center seam construction and 28lb paper stock makes for a very durable envelope. The 10 x 13 Catalog Envelope is one of the most popular sizes available.